iSammy has been updated with new features and performance enhancements. Check it out. Left Right has been updated. Now with more levels, animations, and teacher scoring. 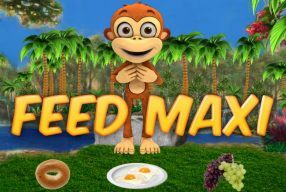 PreK / Special Needs Feed Maxi ! Maxi requests & uses simple sign language to teach toddlers, preschoolers, & children with special needs how to label & identify food. What do the three little pigs do when the wolf blows down their houses? Take them to court of course! 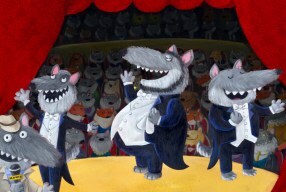 "The Wolf is bad" was nominated for 2011 Best Children's song by the Indendent Music Awards. Sammy the Suitcase travels with his childhood friends and gets rediscovered. Play along & bond with your child as their favorite things and friends become part of the story. An interactive book to record & play back your child's voice. 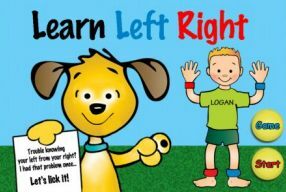 Is your child having trouble with the concept of Left hand/Right hand? Left foot/Right foot? Learning the concept of left side/right side has never been more fun! In this teacher developed app your child will learn through 4 stages. 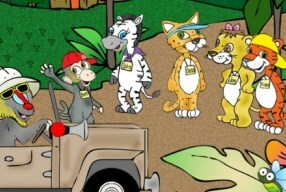 Thrill in the hilarious adventures of young Baboon Bert as he makes new friends at camp. Determined to be accepted by his peers, but in the end he discovers that being yourself is best. Loaded with interactive features. Pre-K-Prep, is a Fun, Page-A-Day, 6 Month Program of Pre-K-Readiness-Skill Tutorials for Pre-kindergarteners...English & Spanish! Each day gives the parent 3 simple daily exercises (10-15 minute total). A fun, interactive hide and seek adventure for kids ages 3 and up that will keep them busy and laughing! 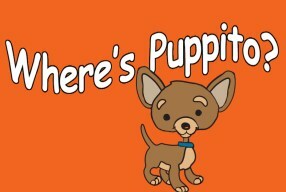 Have fun searching the neighborhood for the little pup But beware! The Scary Cat might Pop out and get you. ‘Tap and Count 100’ will require the young child to use their senses of sight, sound & touch while learning to count to 100! 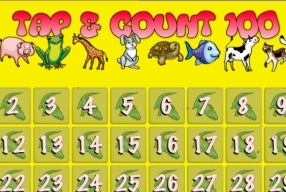 The child will: see the number; tap the number; hear the number & most importantly be encouraged to count along. 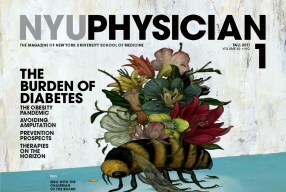 NYU Physician magazine brings the latest advances in medicine and biomedical research at NYU Langone Medical Center and the NYU School of Medicine to your iPad. Flip the pages to navigate, pinch to zoom. App Developer Based in New York, Motile Media is a developer and publisher of mobile video games, children's book apps, magazine apps, casual game apps, and prank apps for iPhone, iPod Touch and iPad. At Motile Media, we create apps that everyone can enjoy. Our main focus is developing iPhone and iPad Children's book apps, but our apps such as, iHaggle: Hidden Treasure Street, Tornado Stopper , EVP and others show the wide range of fun apps we make. Children's Book Apps Our selection of children's book apps focus on learning, with an added emphasis on fun and interactivity. Each of our children's book apps use animations, sounds and interactive elements to engage the child and make learning an enjoyable experience. Our children's book apps section is coming soon, with several new and exciting children's book apps that are fun and educate such as our newest release, Mouse School, and Mouse in a House, which was featured by Apple in "New & Noteworthy" in the iPad Education category in the US and France. iTapster is a novelty app that contains 11,000+ drink recipes and 1,800+ ingredients. Choose your ingredients and iTapster shows you drinks you can make with the ingredients you have. Cocktails, Virgin Cocktails, Punches, Virgin Punches, Shots & Shooters, Shakes & Floats, Coffee & Tea, they're all here. iTapster Lite contains just the top 500 drink recipes and 1,800+ preloaded ingredients. Cocktails, Virgin Cocktails, Punches, Virgin Punches, Shots & Shooters, Shakes & Floats, Coffee & Tea, they're all here. Cocktails, Virgin Cocktails, Punches, Virgin Punches, Shots & Shooters, Shakes & Floats, Coffee & Tea, they're all here. What's My Drink is a novelty app game that challenges your knowledge of what's inside mixed drinks. Cocktails, Virgin Cocktails, Punches, Virgin Punches, Shots & Shooters, Shakes & Floats, Coffee & Tea, they're all here. Cocktails, Virgin Cocktails, Punches, Virgin Punches, Shots & Shooters, Shakes & Floats, Coffee & Tea, they're all here.